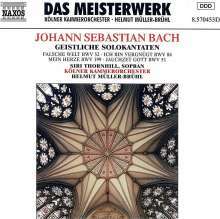 Der Artikel Johann Sebastian Bach (1685-1750): Kantaten BWV 51,52,84,199 wurde in den Warenkorb gelegt. 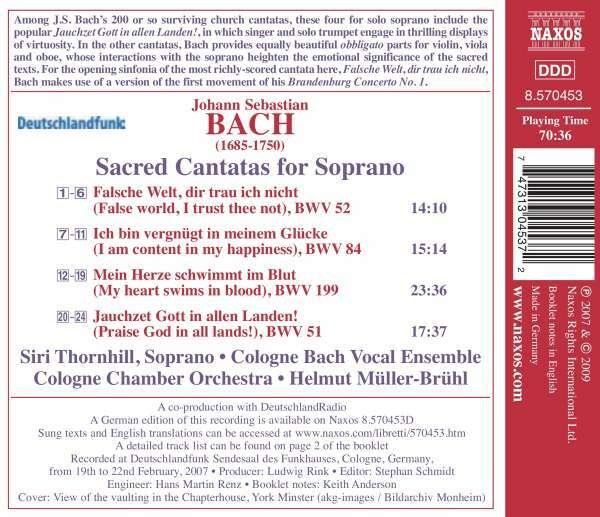 Among J. S. Bach's 200 or so surviving church cantatas, these four for solo soprano include the popular Jauchzet Gott in allen Landen!, in which singer and solo trumpet engage in thrilling displays of virtuosity. In the other cantatas, Bach provides equally beautiful obbligato parts for violin, viola and oboe, whose interactions with the soprano heighten the emotional significance of the sacred texts. 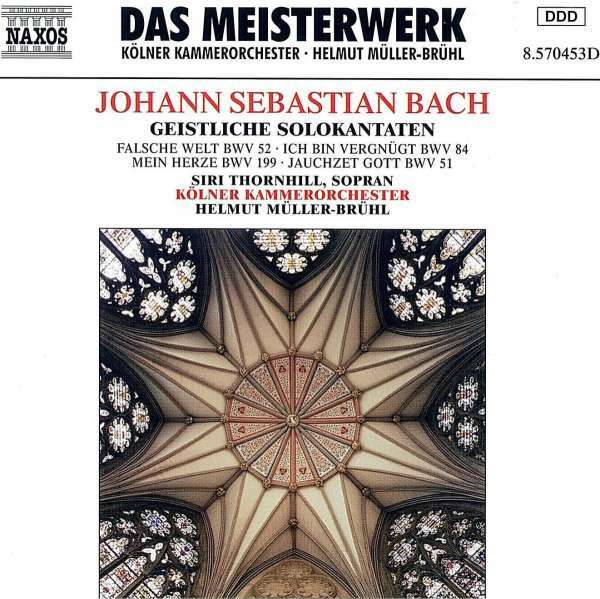 For the opening sinfonia of the most richly-scored cantata here, Falsche Welt, dir trau ich nicht, Bach makes use of a version of the first movement of his Brandenburg Concerto No. 1. Hörprobe Track 20: Arie: Jauchzet Gott in allen Landen! Arie: Jauchzet Gott in allen Landen!